F&I income represented 2.9 percent of new-vehicle sales and 3.8 percent of used-vehicle sales in 2018, compared with 2.9 percent and 3.7 percent in 2017, according to NADA’s annual financial profile of U.S. franchised new-vehicle dealerships. Dealers face tightening margins, declining new-vehicle sales and even operating losses, but despite those headwinds, F&I held steady as a dealership profit center last year, according to the NADA Data 2018 report. F&I is "becoming a bigger piece of the pie on a new- and used-vehicle sale," said Patrick Manzi, senior economist for the National Automobile Dealers Association. 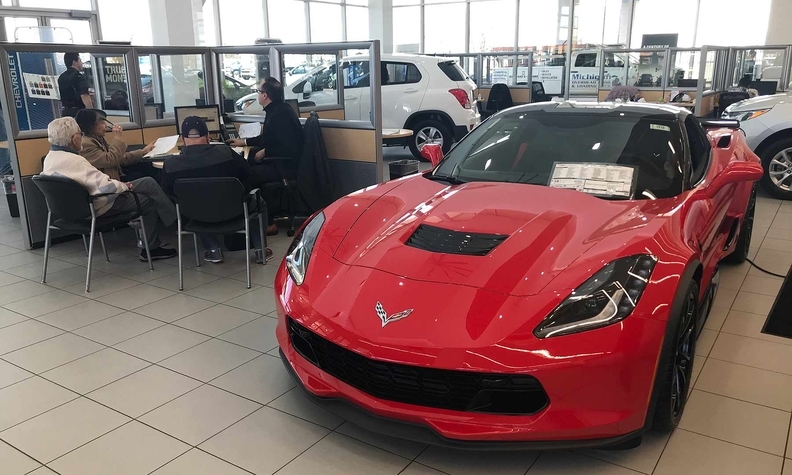 F&I income made up 2.9 percent of new-vehicle sales and 3.8 percent of used-vehicle sales last year, compared with 2.9 percent and 3.7 percent in 2017, according to NADA's annual financial profile of U.S. franchised new-vehicle dealerships. F&I penetration, which NADA defines as the share of vehicles retailed that included a finance contract, an insurance contract or Guaranteed Asset Protection sold by the dealership, was still strong on new-vehicle sales, but slipped slightly to 89.6 percent in 2018, compared with 90.3 percent in 2017. The decline was likely driven in part by rising interest rates that may have dissuaded customers from financing F&I products, such as GAP, said Manzi. F&I penetration was 73.2 percent on used-vehicle sales, flat with 2017. Dealerships sold service contracts to nearly half of new- and used-vehicle buyers last year. Dealerships on average sold service contracts to 45.7 percent of new-vehicle buyers, down from 46.9 percent in 2017. They sold service contracts on 47.6 percent of used vehicles, up from 47.4 percent the year earlier. F&I aftermarket income as a percent of new- and used-vehicle gross profit was also consistent. It rose slightly to 25.4 percent in 2018, compared with 24.9 percent the year earlier. Beyond F&I, dealers relied on the service department for profit last year. Dealerships on average made $3.2 million on $6.95 million in service-and-parts department sales last year, Manzi said. That's a 46 percent gross margin, on revenue that grew 2.3 percent from 2017.